Cinder block foundation wall repair steel reinforcement in Northern Virginia is a specialty for Fairfax Contractor. 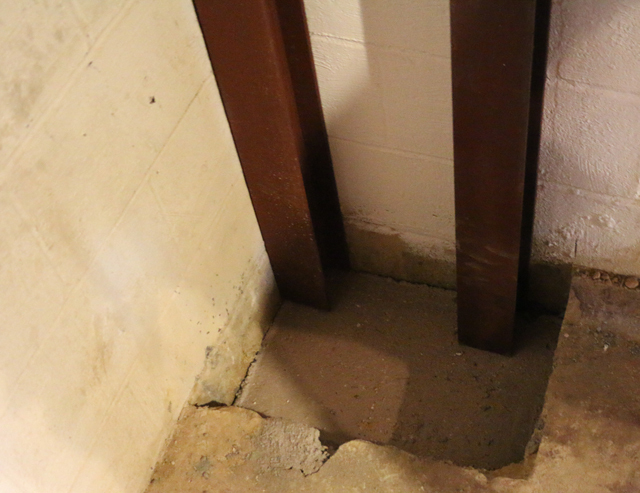 If your Northern Virginia homes cinder block basement or crawl space is deflecting because of problematic soils or extreme hydrostatic pressure we are your contractor. 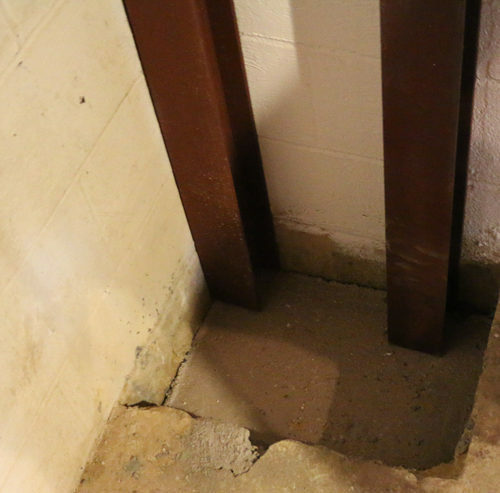 If your homes cinder block foundation is deflecting more than 1” you should consider using steel beams to stop the defection in your Northern Virginia home. 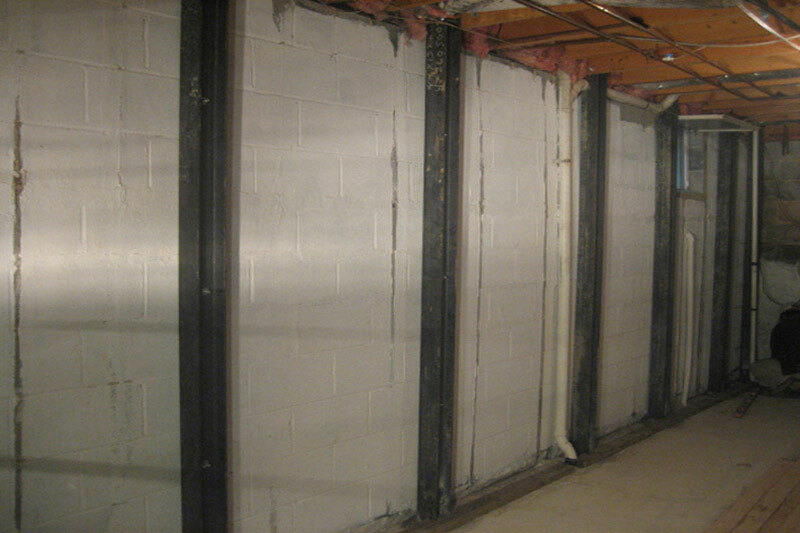 Fairfax contractor can stabilize almost and crawl space or basement cinderblock walls by utilizing steel I beams. The first step in correcting a failing CMU foundation is to have a Virginia licensed structural engineer evaluate your problem. Fairfax Contractor works with professional engendering firms to help evaluate your unique problem and create a stamped plan to pull the necessary plans to pull a building permit. Chose your contractor carefully, to have a contractor pull the necessary permits they will need to be properly licensed by The Commonwealth of Virginia through the DPOR. 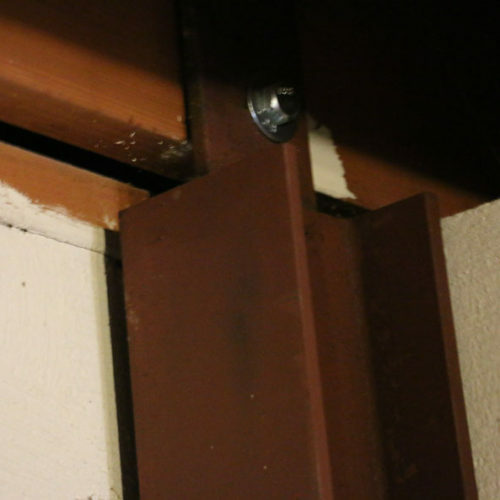 Fairfax Contractor has a Class A contractor’s license with a (RBC) stamp that allows us to do foundation repairs. 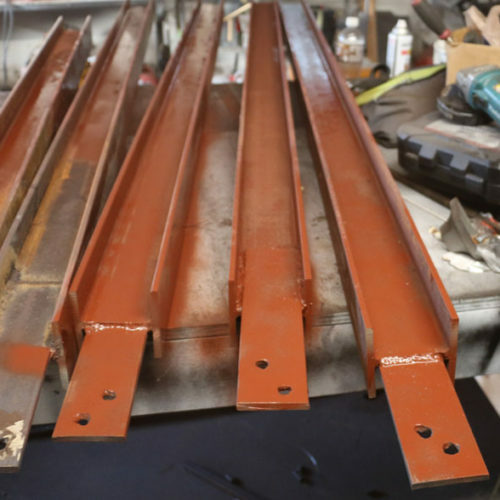 For more information on reparing your Northern Virginia homes Foundation click this link. 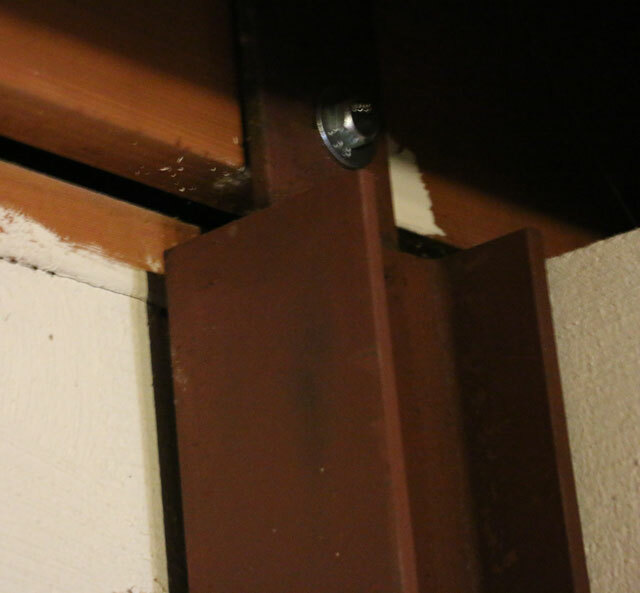 The main reason to use Fairfax Contractor to repair your deflecting cinder block foundation walls with steel reinforcement is the fact we have the experience to tackle this repair. 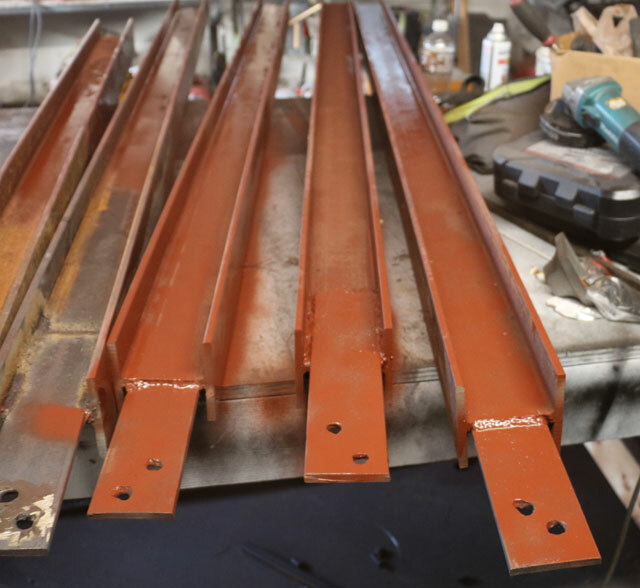 First off unlike any foundation contractors in Northern Virginia we operate a welding shop in Manassas VA that can cut the required I beams, weld the tabs, and damp proof the steel, and cut the bolt holes required for the project. Another reason to employ Fairfax Contractor for stabilizing your deflecting basement block wall is we are very experienced in repairing critical structures. 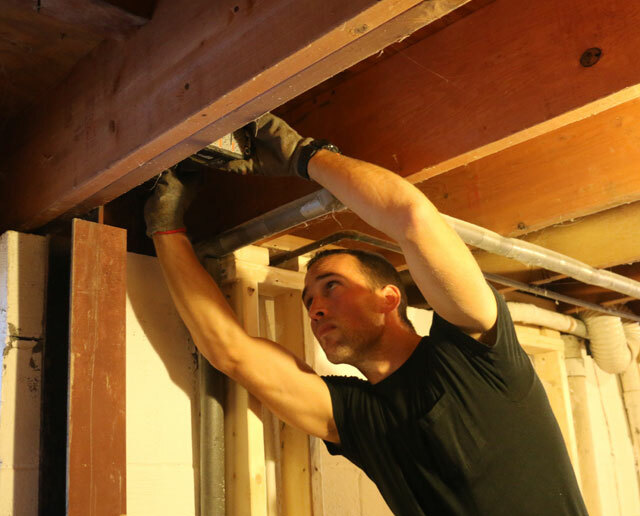 We have the tools and trained employees that are experts in stabilizing failing CMU basement walls. We offer free evaluations and written quotes to repair deflecting cinder block walls. Call us at 703-725-7945 for a free estimate. For information on Fairfax Contractors welding credentials click here. Where does Fairfax Contractor repair cinder block foundation wall repair using steel reinforcement in Northern Virginia. Fairfax Contractor works in the Counties of Northern Virginia including Arlington County, Fairfax County, Loudoun County, and Prince William County VA. We also do remodeling basement projects in the following Fairfax County cities including Alexandria, Annandale, Burke, Clifton, Centreville, Chantilly, Fairfax, Fairfax City, Fairfax Station, Falls Church, Great Falls, Herndon, Kingstown, Langley, Lake Barcroft, Lorton, McLean, Newington, North Springfield, Oakton, Oak Hill, Reston, Springfield, Sterling, Tyson’s Corner, and the Vienna, Virginia. Fairfax Contractor also is licensed to do work in Arlington County, including the cities of Arlington Forest, Ballston Crossings, Cherrydale, Claremont, Rivercrest, Westover, and Yorktown, Virginia. In Loudoun County, we install all types of home improvement projects in the cities of Ashburn, Aldie, Bristow, Dulles, Countryside, Lansdowne, Leesburg, Purcellville, Potomac Falls, South Riding, and Stone Ridge Virginia. And finally, we work in the cities of, Prince William County, including Dumfries, Dale City, Gainesville, Haymarket, Lake Manassas, Lake Ridge, Manassas, Manassas Park, Occoquan, Triangle, York Shire, and Woodbridge Virginia.